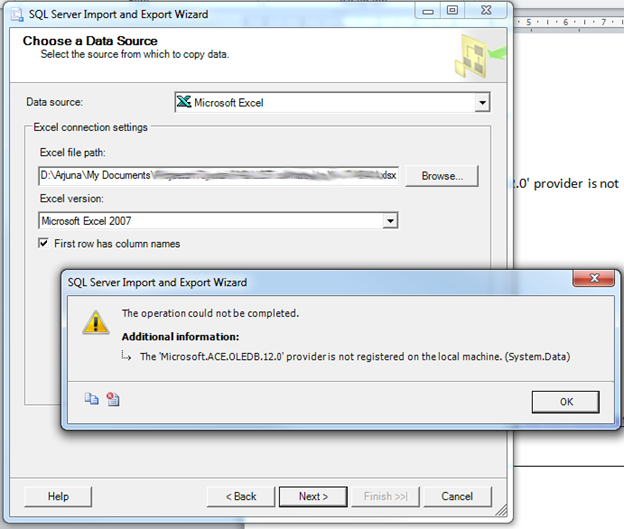 Recently while trying to import some data from Excel onto SQL on a new machine I got the following error at SQL Server Import and Export Wizard Step 2. After doing some searching found the solution is to install Office 2007 Data Connectivity Components System Driver. If you need to get it fixed use the following link to get it from Microsoft Download Center.